To further prove my ineptness in marketing my books of Mystery, Suspense, Romance, et al, I offer this post – AND SEEK YOUR HELP! I’ve revised some passive voice sections in the narrative of “Mama’s Madness” and replaced them with more active voice, not that passive is always bad. It’s that I fear I’ve used it too much in my books, a habit I fell into early on in my writing. Along with the passive voice changes, I also did some rewriting, further editing, and changing book covers – AGAIN! Not a ‘horn toot’ here, the book in its present form received some sixty reviews, many of which were five-stars. So, sure, I could be making a mistake with the change. But, hey, life is all about change. I simply believe MM should be in the ‘best seller’ rank, despite its ‘goshy-durn’ adult content that was inspired by a Northern Californis criminal case… That case made me angry, aggrieved, weep-emotional. I mean, this ‘Mama’ was from the fiery pits of Hell! Label the TOP one ‘A’ and the two here ‘B’ & ‘C’. I can’t figure out how to get WordPress to move my ‘Comment Section’ above the dark box on my Blogsite…please scroll down til you find it! Hope you have time to read “Mama’s Madness” at some point, a thriller even though there is pure Evil in the content – inspired by true events! Oh, PLEASE LOOK for the NEW edition of “Mama’s Madness” on Amazon and other ‘BUY’ sites later on this month… MAYBE, you wouldn’t mind helping me get the word out! 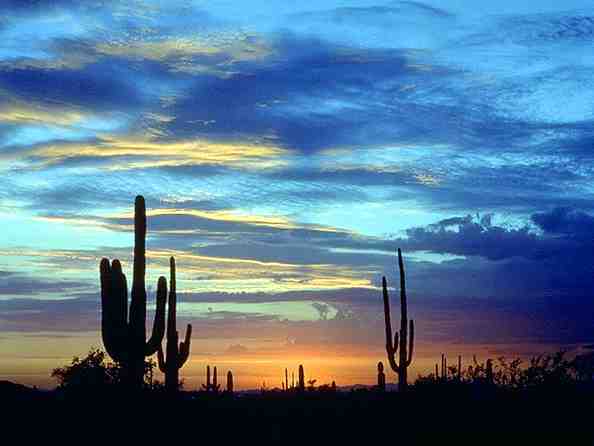 Don’t know about you, but, there are days when I feel all alone in the Arizona desert! So, where are the sales, the 5-Star Reviews, the accolades we authors covet? For some of us, we write a few books and here come the critics with their reviews that range from 5-Stars to 3-Stars, even lower. The world of reading thrives on reviews, what someone thinks about her/his reading experience. There are professional review services. There are housewives, husbands, people in book clubs, avid readers who are moved to comment about a writer’s effort. It is a fact of life in the relationship between reader and writer. We like those comments when they’re dripping with lovely words like, ‘great’, ‘brilliant’, ‘going to read more from this super author’… Oh, we salivate and pour some champagne. We begin to bore our spouses with our ceiling dances and loud hoots of joy. So, you have written what you consider a relatively good book…sure, even you can in the final pre-publish reading find things you could change — extend a section, remove a section, embellish here, there, increase the length, decrease the length, and so forth. In the end, you feel that you have written an entertaining book, maybe not the perfect quintessential novel that you know is still inside you somewhere but a good book. The reviews line up, the 5-Stars, the 3-Stars, the 1-Star, the fractional Star, and you begin to analyze the reviews, maybe agree with a point or two the people are making. The emotions begin to swirl. Of course, you gravitate toward the 5-Star, 4-Star reviews and are elated. The bad reviews bring conflicting thought patterns…there is an initial sinking feeling which will become anger, denial, and, at some point, you will equivocate only to finally acknowledge that perhaps the negative points made in the bad reviews have validity. The really bad news is, of course, there are pitifully few sales… Ah, the aggravating world of the word-spinner! Where in the world did you get the idea you could write? All of this is not to say that you, I, and the countless other millions of writers do not have our book flaws. All of us have them! The temperaments of some writers are better than yours and they keep writing, getting away from the ‘passive’ passages of narrative, the cliches, too many ellipses, redundancy of words and phrases. We have many flaws in our books, and with each new book we write, we are getting less and less errata. We are, as they say, growing our craft. Will we get to that stage where we live among the giants of our writing world? Some will because talent cannot be denied too long. In the rare instance, enough money is spent to insure success – I can come up with my book-example of this, and I’m sure you can. Or, have our egos, our inner selves, betrayed us with pronouncements of our talent? It is difficult to separate ourselves from the critics in the writing field, but we can remember what our reasons are for writing. We will still experience the dithering, but we have to stay true to whom we are. If we are getting 5-Stars along with some minimal Stars, somebody likes us. And, that is the message: remember your reasons for writing and just know that somebody likes us. My belief is you are getting better with each writing effort. Just stay committed to your course…and…don’t…give…up! Please preview my books, read some of my Amazon Reviews, and a short & clumsy Bio.